Well, we made it thru the belly of the annual beast. You know, the annual torment of Halloween at your local sewing store. 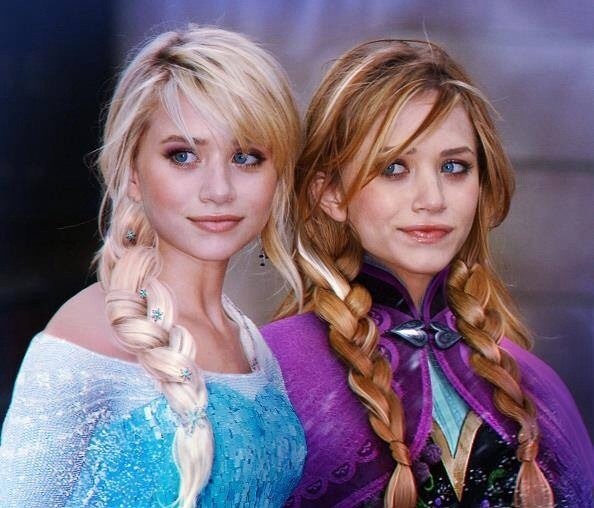 The period where you can only post on Pattern Review if you are making an Elsa costume. The season where a 5 minute trip to buy 1 freakin’ invisible zipper turns into a 45 minute ordeal as you navigate past wild-eyed non-sewers whose child will DIE of the screaming fits if they don’t get to be Pignite and by God it better look just like they see it on tv!!!! I’m not against Halloween-I swear. I just don’t indulge in it myself- I mean really, do I dress like I need a night without tasteful restraint and borders? 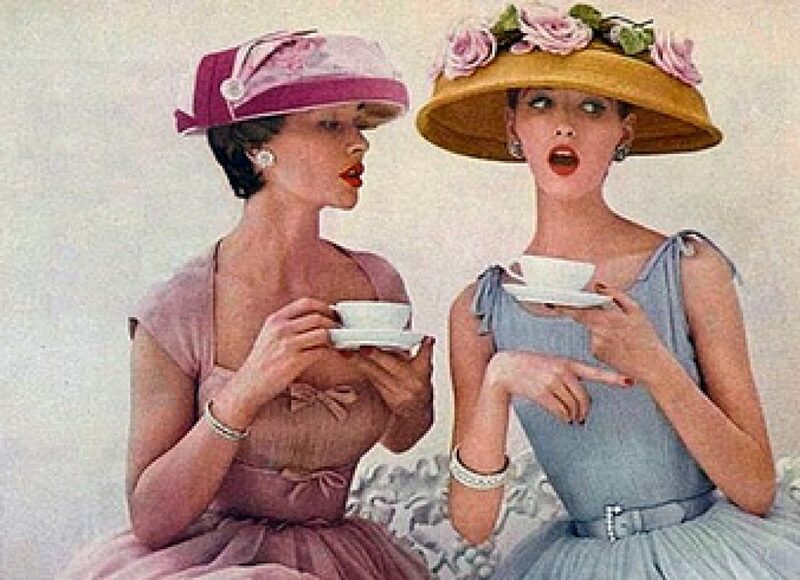 Anyhoo…..
I’ve been hunkered down in the sewists Bordello trying to fill in gaps in my work wardrobe. How does the clothing from last season disappear when you put it in its totes? Do the skirts gang up on the tops and demand a sacrifice or did I just not match much last year? I sense foul play among the woolens. So now I have a suit, 2 dresses, a skirt and a top all done. Blog much? nopes. As usual my fickle flighty self is now bored with anything I’ve already worn. Well, tough toenails- I must continue my sainted work of showing the webs what a chubby gal can do with the wrong pattern and fabric choices. But I am weary- I am stressed. So I head to the woods for a quiet interlude with the forest primeval. To truly enjoy nature and it’s inhabitants, one must be unobserved and subtle. 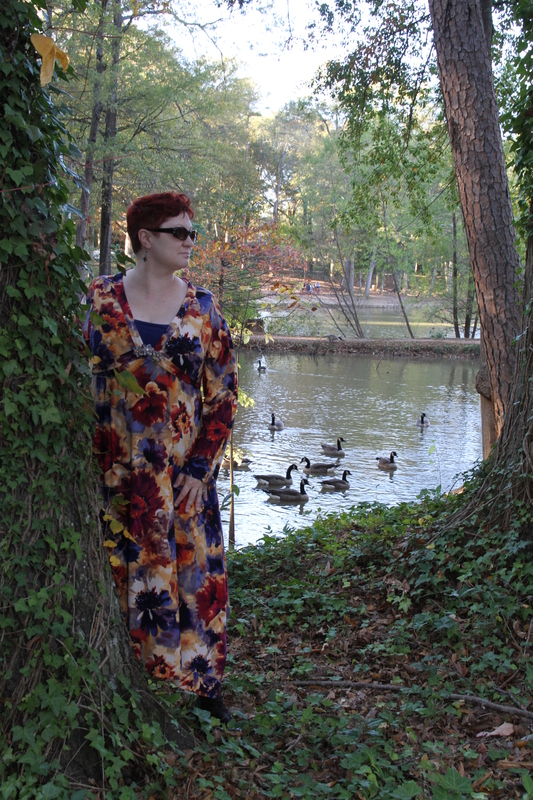 So I donned a simple floral to charm the local geese. Vogue 1210. An OOP that I first admired on the Thornberry. I know how much joy I bring to the geese. They love me and I am their queen. See how they gather about me like…….geese. 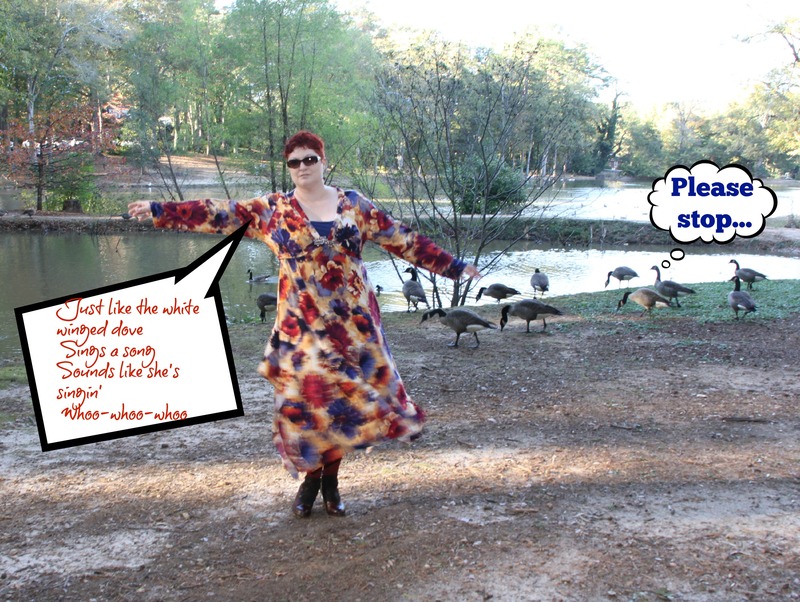 As a special treat I croon some Stevie Nicks to them, since the dress is so perfect for it. Really, am I not channeling the Nicks? I swear a goose that looks suspiciously like Tom Petty just tried to hump my boot. Alright, lets see- did I make this pattern my own? Just a little. I couldn’t help finding the bodice a little plain. Seriously tho- do some alterations- if I weren’t deploying the modesty tank top, you’d see my appendix in this. I added some little silver details- cuz I’m gaudy and I know it. Extreme bustal closeup- hide the children! Well, I’ve nurtured the geese and showed the locals how to dress for a picnic, now it’s time to return to my home and once more don the mantle of urban sophisticate that I am. If you can find a copy of this pattern, it’s a quick whip up and very forgiving me thinks. 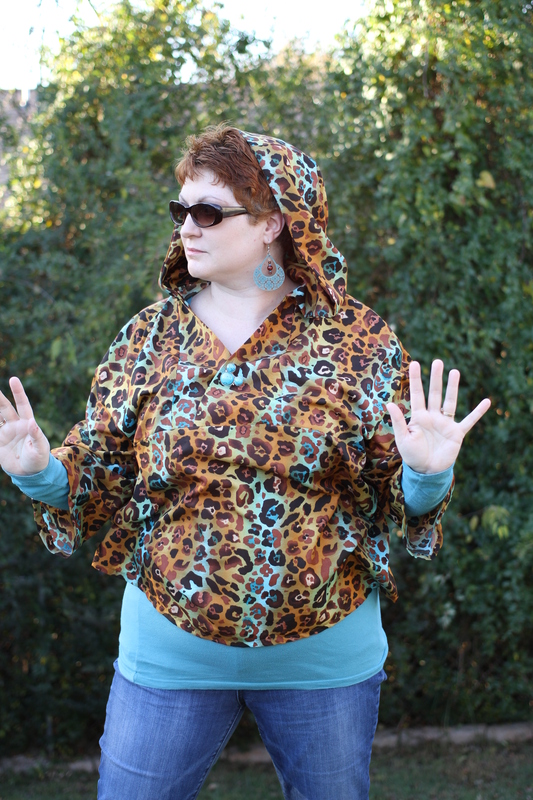 Pattern Review has some lovely versions including Ms Thornberry with contrast fabric. Go see! photo credits: meadhawg, pattern review, pinterest, google images, Fanpop. All images remain the property of their original owners. Lovely, lovely frock. Those geese better realise how lucky they are! I so yearn to nurture- or make pillows, whatever. You’re certainly dressed for the milieu – or is it locale? The park needs no flowers when you are there! Oh you sweetie! Want a goose? I have several in the car now- we are going for slurpees! That frot surprised me- it didnt seem so bad on the form! Halloween is not for me either. Nice dress…but it’s the hooded top that I am admiring. Details?! Thats anold Mccalls that I made on a lark and I think I wear it more than any other make! I really like this dress! And thanks for the entertaining post 😀! Im really happy with this one, thanks! Super cute! I think Stevie would rip that off your back and toss you her cape, cause she’s good like that. Thank you! I tried not to overthink it. This is a winner for sure. 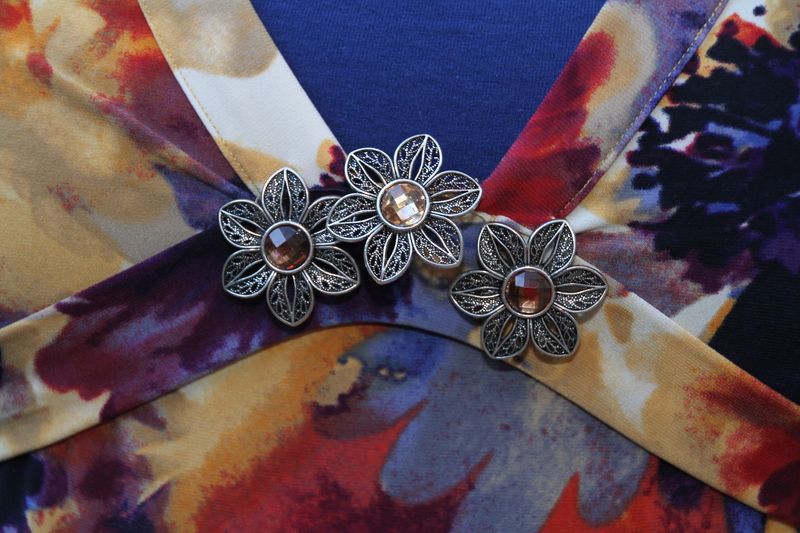 I really, really love the print and it fits you perfectly! Nothing like a sash tie to reign it all in! Absolutely gorgeous. Too good for the geese, really. I’m thinking tea length dresses with boots may be my favorite fall/early winter look ever. Well that’s just a lovely fabric and a lovely pattern. I wouldn’t like it too low in front myself! If the geese don’t like it then tough on them!! Well it was a nice spot for an accent color luckilly- i have lots of fall toned tank tops! Got to watch that hem on skates- could get dicey! Fabulous fabric. Great dress. Geese. Amusing writing. What more can I ask for? I think your hubby could do an even better goose post!!! Mmm roast goose. Goose fat potatoes. Is that what you’re thinking? Stevie would approve of this so hard! Fierce! Would she see the gypsy that I was? Wonderful post, I totally agree with you re. Halloween madness, and adore your dress!! Coco I just cant see you as a slutty pirate!!! Love it! I think the modesty top is the perfect colour with it. I’ve got one a bit like this (might even be the same pattern – does it have a lady in zebra print on the front?) that I ended up sewing my only strapless bra into for modesty purposes. I figured the bra would stop the skirt dragging the neckline down even further…it seems to work but it’s fun getting into it now. I like that! A stylish obstacle course for the putting on! I love this dress on you and the flower pin detail is just so spot on. Ooh, a shawl! Extra gaudy with fringe!! Im becoming really attached to embellishing! Im worried the Husband will get me a bedazzler for christmas! I think you made a mistake there … I know you are worried he WON’T get you a bedazzler for Christmas. I might need to decorate a carpal tunnel brace first! Think of it as styling for the less fortunate! I want 4 yards of that gorgeous Stevie Nicks floral so I can make me a Fleetwood Frock, too ;-). Nice work. Oh youd outshine me- I cant have that! Fabricmart- get it quick! You are 100% channeling Stevie Nicks. Love it. I’ll whip up something flowy and we can be a 2 woman Stevie Nicks cover band. Not a good sounding one, just a good looking one. 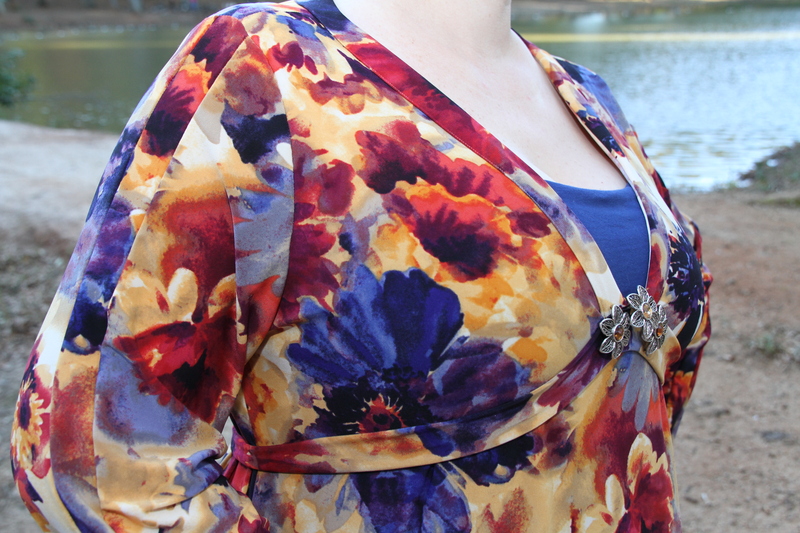 Great colours for you and a brill shape – add that one to the Good Pile and don’t lose it! This pattern is definitely not going in the penalty box! Your outfit is beautiful! The fabric is stunning and the little buttons or whatever are the front are the perfect accent. Beautiful work! 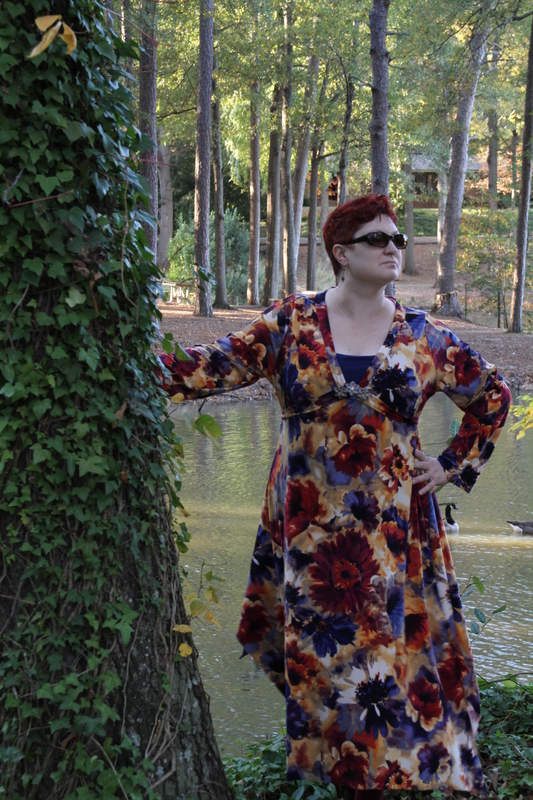 This dress has unleashed your inner geese goddess and they are darn lucky you decided to grace them with your presence on such a lovely Fall day. 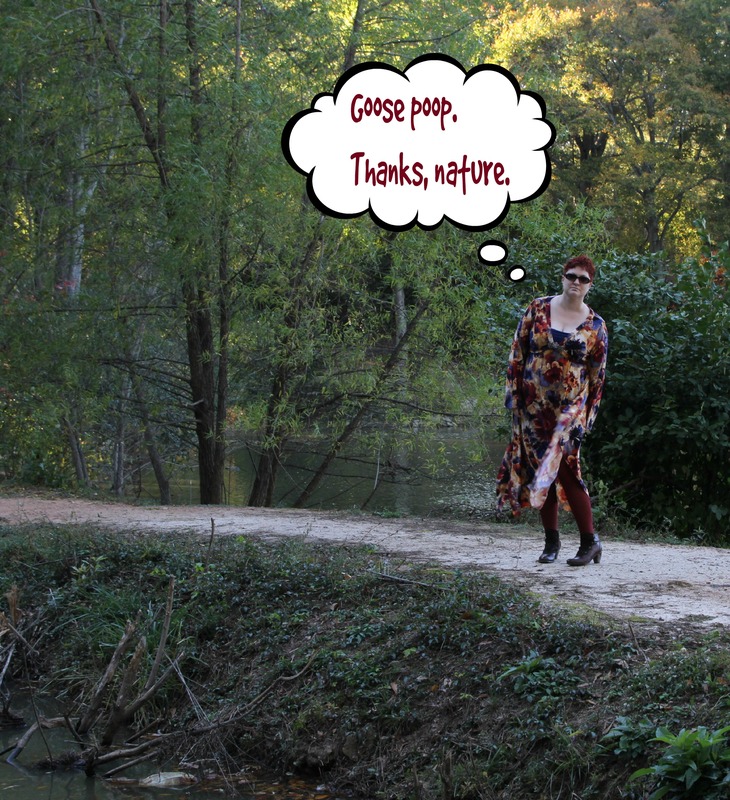 They rewarded you with the only thing they could…passing poop along your way…some throw rose petals, geese poop. The added embellishments just add to the personality and the cami under it to preserve your modesty is perfect! Only you could carry off this magnificent swirl of color and style! Flinging ones waste is the sincerest form of flattery! Is that why Gorillas fling excrement at zoo-goers? They are happy to have visitors? Youre supposed to throw your peanuts or lunchmoney back. Its reciprocal! Another brilliantly flamboyant floral cunningly matched to stylish pattern – probably wasted on geese though. Its true…..and better backup singing skills! Okay, so this post was just so witty and funny! 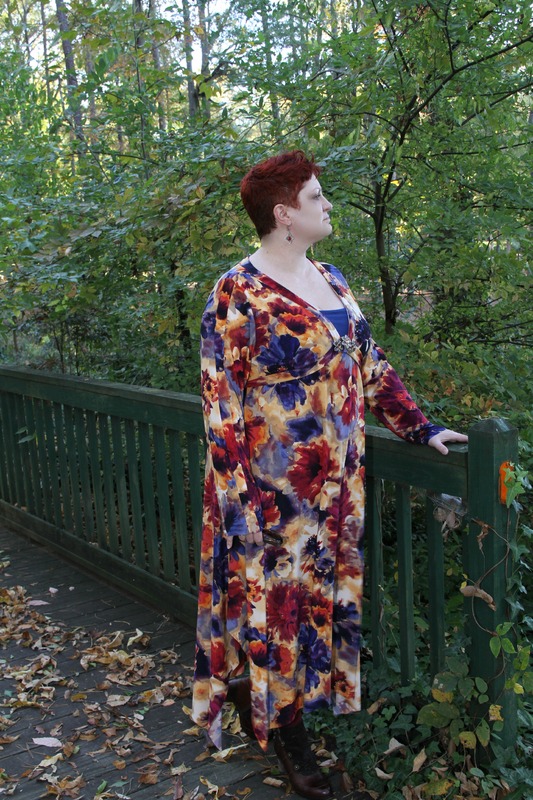 I saw the dress on Pattern Review website and boy, am I happy I looked at your blog. Not only is the dress lovely but I smiled all through the post! Great job! I love it, especially the bustal adornment! Looking gorgeous! You can never have too much bustal adornment! Gloriously bohemian and floaty, this is spectacular. But it’s the perfect sparkly ebellishments that won me over, perfection.